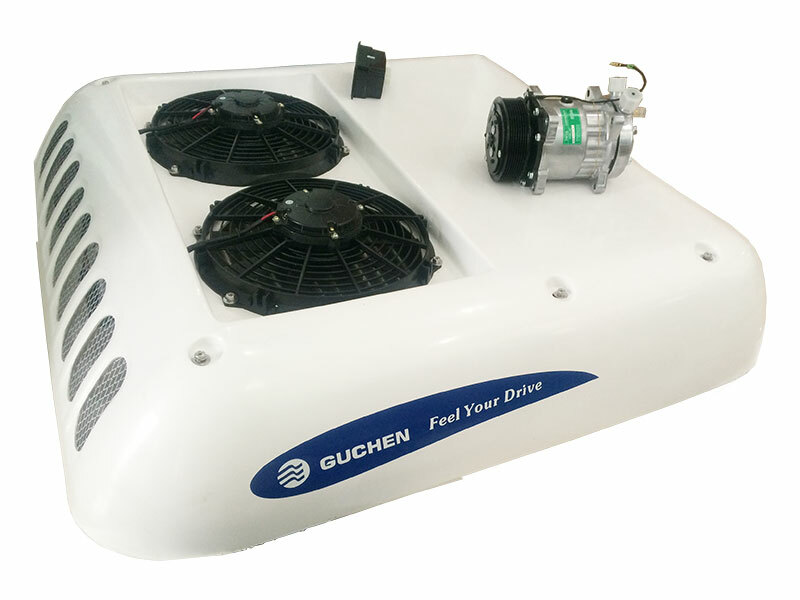 Guchen Industry is offering a specialized range of air conditioner, of which, CG-10E minibus/van air conditioner can be used in the 5-6.5-meter length vehicles. 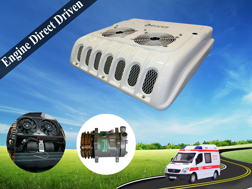 The GC-10E Minibus/Van Air Conditioner can supply 12v and 24v types of compressors according to the customers need. 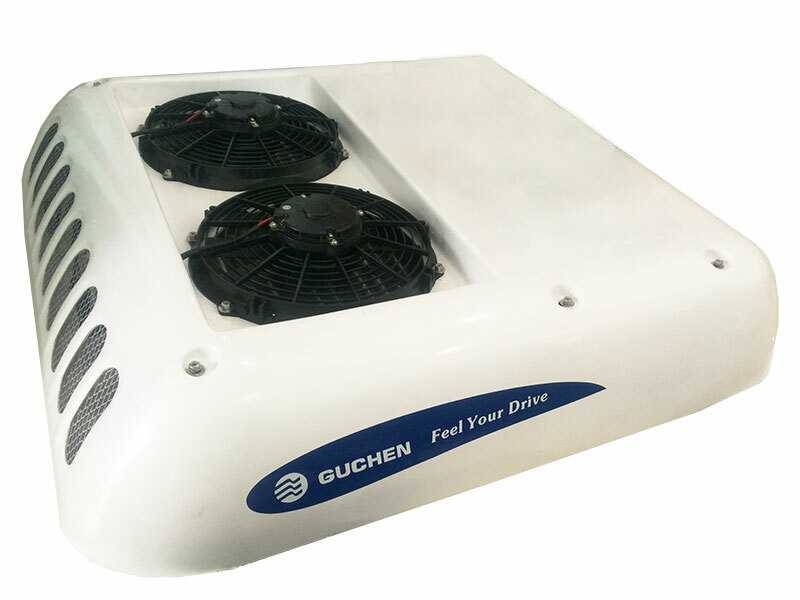 Under its 10 KW cooling capacity, GC-10E air conditioner can be suitable for minibus carrying up to 16 passengers. 1. 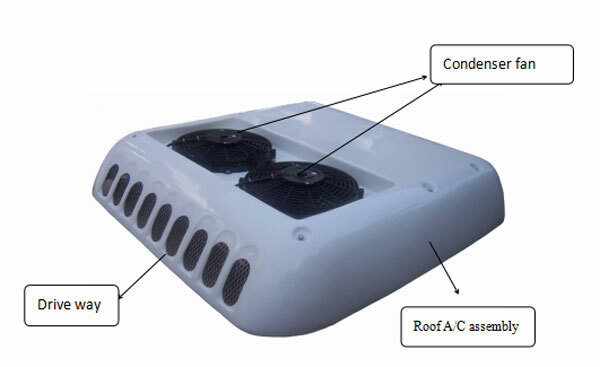 Compact design, roof-top mounted, easy to install, and low-cost in maintenance. 2. 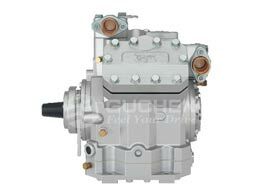 SMC housing with good heating insulation and anti-aging properties. 3. 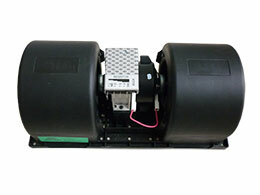 Independent parallel control mode to ensure reliability and durability. 4. 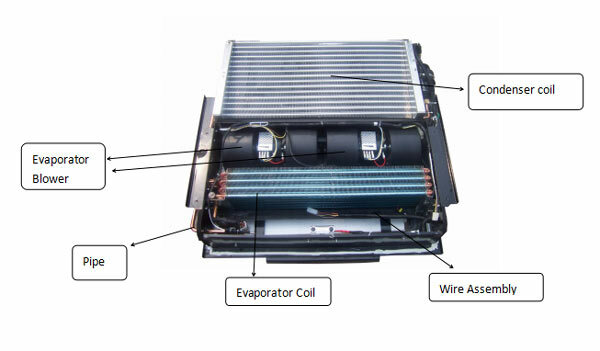 Internal screw thread copper tube and hydrophilic aluminum fins making cooling performance optimized. 5. 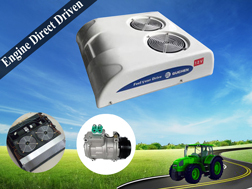 All parts and materials are from international well-known brands of suppliers with better stability and high-quality assurance. 6. 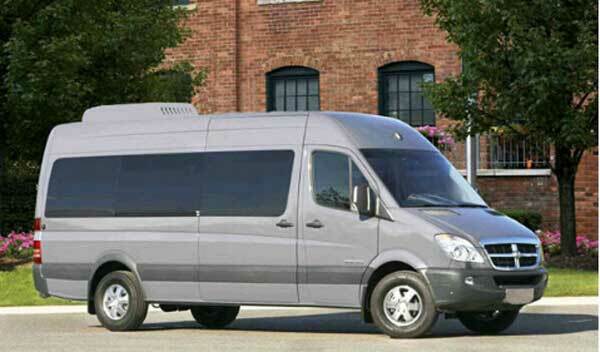 Beautiful and better appearance, which is suitable for the shape of minibus and van. 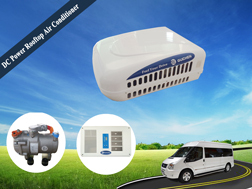 The GC-10E minibus air conditioner is mainly made up of a condenser, an evaporator, a compressor, of which, the evaporator of minibus air conditioner is housed in a unit to be installed on the roof of the vehicle and connected to the compressor, driven by the engine, through hoses filled with the circulating R134a coolant. 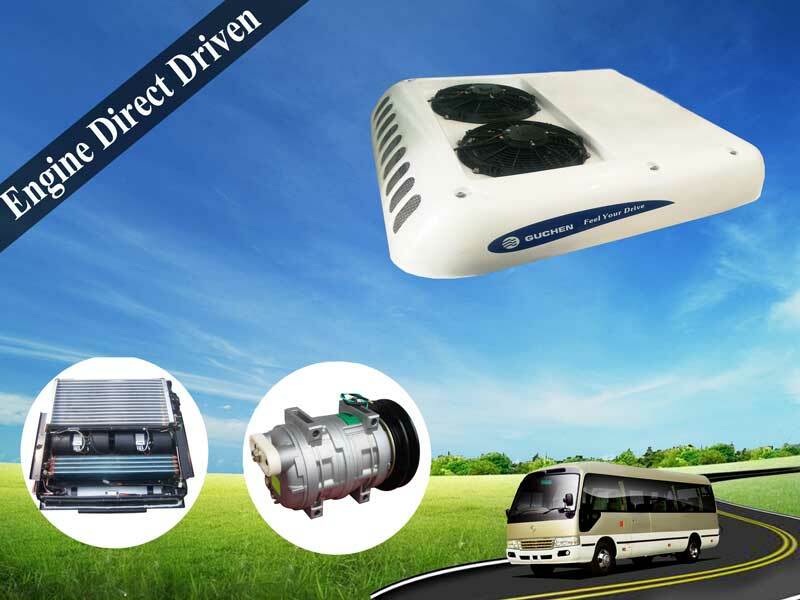 There are some other assemblies in the GC-10E minibus/van air conditioner system, such as condenser fan, condenser coil, evaporator blower, evaporator coil, wire assembly, air diffuser, pipe, filter drier, drive way, roof A/C assembly and so on. 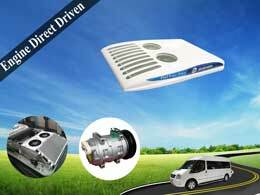 The GC- 10E minibus/van air conditioner is mainly made up of condenser, evaporator, compressor, control panel, pipe and so on, in which condenser and evaporator is grouped in one. 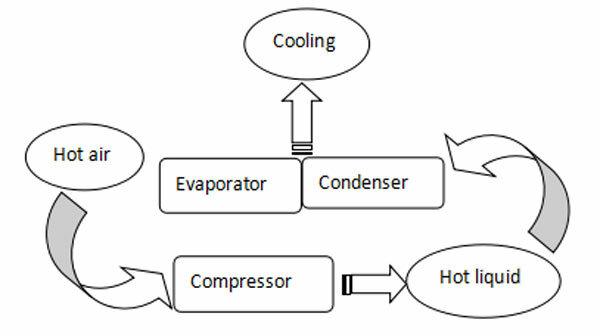 When the temperature in minibus/van is high, the high-temperature and high-pressure air goes into compressor with subsequent, the air transformed into high-temperature and high-pressure liquid, then, the liquid goes into evaporator and condenser transformed into low-temperature and low-pressure air to drop in temperature. 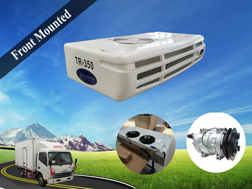 Simply to say, the working principle of GC-10E minibus/van air conditioner is that the refrigerant absorbs in heat in refrigerator under the help of physical condition changing. 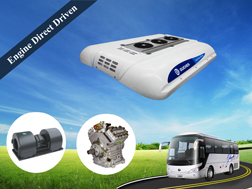 That is to say, when GC-10E minibus/van air conditioner works, the engine drives compressor, and then compressor drives the air conditioner to refrigerate. 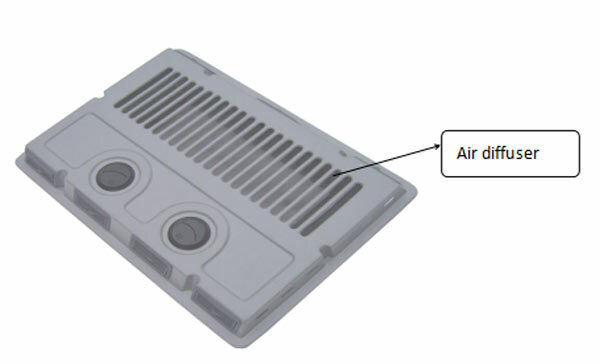 Attention: GC-10E minibus/van air conditioner system also has heating types according to your need.